Amy holds a Bachelor Degree of Science in Food, Nutrition and Health (Dietetics Major) from the University of British Columbia. She was the recipient of a prestige scholarship from UBC and the Outstanding Dietetic Intern Award from the Dietitians of Canada in recognition for her academic, professional excellence and community work. 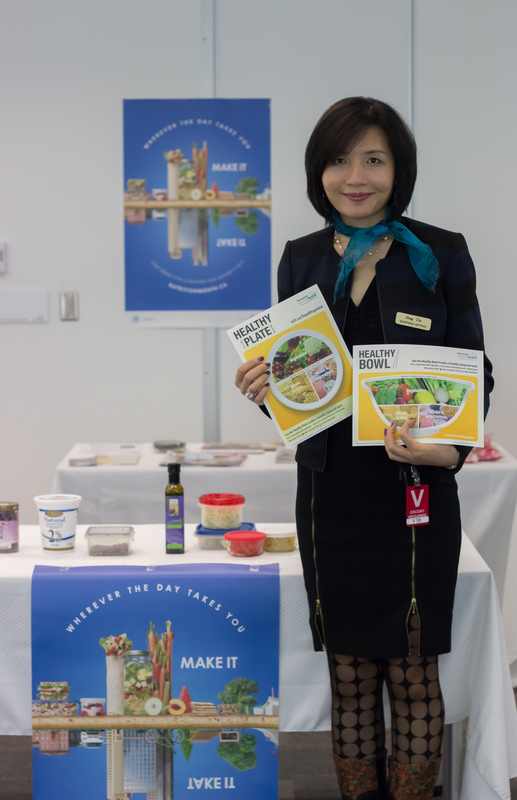 She is a spokesperson of the national nutrition month campaign in BC region. She is also the founder of Libra Nutrition and has her private practice at Momentum Wellness Centre in Richmond. Amy is the recipient of the leadership award 2015 given by the Dietitians of Canada to recognize her contributions to the profession. Amy helps people prevent and manage medical conditions by creating personalized meal plans and by setting goals towards one’s optimum health. Her specialty is weight management, diabetes and mental health. Amy is fluent in English, Mandarin and Cantonese. She has had weekly segments featuring gourmet/healthy foods on Omni TV for two years, and has a regular column in What’s In Foodoir, Voice Weekly and Today Commercial News. She is also very experienced in conducting nutrition tours at supermarkets and workshops for large corporate and non-profit organizations.